Bad customer service is something that we often moan about. Customers like to be treated with respect and feel that their issue is dealt with – sadly though this isn’t always the case. Twice as many people tell others about bad service than good service. So how do you get people talking about the service you deliver and in a positive way? How do you go about delivering happiness? Customer service in the 21st century needs to go beyond a polite telephone manner and responding in an acceptable amount of time. Businesses need to shock people by going above and beyond to grab their attention. Scientists at Emory University in the United States measured changes in brain activity and discovered that the most enjoyable responses were noted when unanticipated events occurred. What this proves is that the part of the brain that is linked to pleasure responds positively to unexpected circumstances. This is something that businesses can use to their advantage when trying to attract new business as well as keep existing customers intrigued. Delivering happiness can be an unexpected change for many customers. Businesses can no longer rely on a slap-dash approach when delivering happiness to customers. With the amount of competition out there, businesses need to stand out from the crowd and make their customers feel valued and want to keep using their service. Zappos are renowned for their amazing customer service and what is great about Zappos is that they share their tips and secrets to delivering happiness with the outside world. It’s a great feeling when you get some new customers on board, but you need to consider how you can make your customers feel a part of your business. The company When I Work send hand written letters to all of their new customers for example, to make them feel welcome and a part of something. That’s a great way of delivering happiness and ensuring that your customers stay on board and tell others about their experience. No matter what size of business you are, you need to build a brand that your customer can identify with. Think about what your business delivers and integrate this with delivering happiness to your customers. A brand is a great way to distinguish yourself from your competitors. In essence, it’s a promise to your customers, whether that means you deliver high-quality or high-value, ensure that you deliver happiness through great customer service in the process. If your customer is buying high-quality they expect a high-quality service to go with it. Sometimes in business things can go beyond our control. Some customers can be pleased all the time, others not, but that doesn’t mean if you have an unhappy customer that it will result in a lost customer. Delivering happiness to unhappy customers by achieved by trying your best to resolve their situation as quickly as possible and improving their experience by giving them something in return, whether that’s a discount, an upgrade or so on. You may not be able to please everyone, but by showing you have gone out of your way to resolve the issue, your customer may give you a second chance. Surrounding yourself with the right customer service team is essential to delivering happiness. Your team must be able to understand the situation and empathise with your customers when things go wrong, and strive to make amends where possible. Customers can often dread having to talk to the customer service team for fear that their issue won’t be resolved properly. You can change their perception by delivering a happy, friendly and well-thought out service (to deal with unexpected issues that arise) and be willing to listen to each customer’s individual needs. Don’t forget a customer that feels they are being listened to will be much easier to deal with than an angry customer! Achieving customer loyalty can be hard for a business, but once you have mastered the staying power for customers, you will reap the rewards. Customers love to be rewarded so you must factor this is when delivering happiness. Take the Caffe Nero loyalty scheme for example. 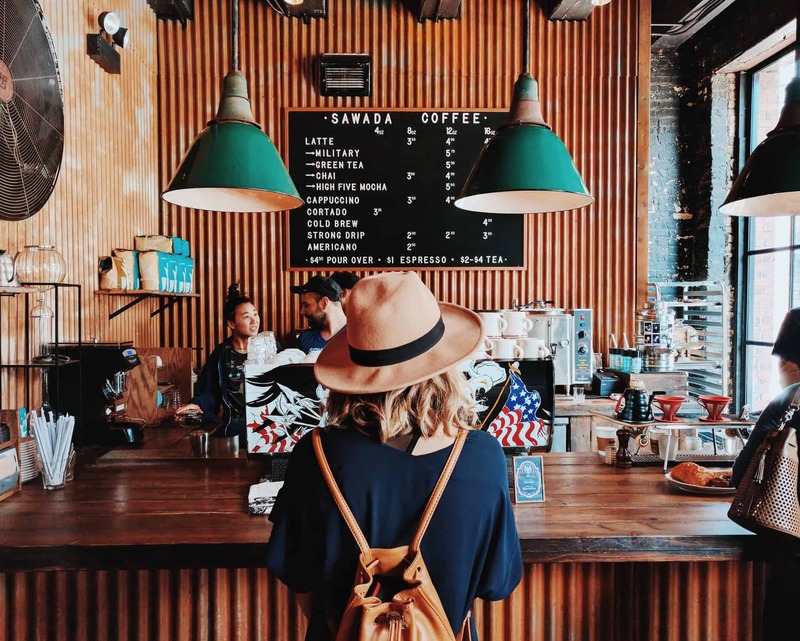 This scheme is one of the most successful loyalty schemes in retail, but what differentiates the Caffe Nero scheme from the likes of Nectar or Clubcard is the simplicity of the scheme. You get a tenth coffee free after buying nine coffees, you have a simple card which is stamped (no fancy technological way of receiving points – just a stamp and a card), Caffe Nero can track repeat customers who use the cards and finally the little cards are carried in your purse or wallet, so the Caffe Nero brand is constantly reinforced every time you open your wallet or purse! We can help supercharge your level of customer service.